FERC’s role for oil pipelines is different than for natural gas pipelines. FERC doesn’t actively promote petroleum products pipelines through federal eminent domain like it does for fracked methane; instead it leaves oil pipeline eminent domain to the states, which for Georgia seems to mostly mean the Georgia Department of Transportation (GDOT). Establishment of reasonable rates for transporting petroleum and petroleum products by pipeline. So Kinder Morgan’s Palmetto petroleum products Project does fall under FERC, but not the same way as for Sabal Trail’s fracked methane pipeline. EIA’s summary: “Increased LNG exports lead to increased natural gas prices”. How can that be “consistent with the public interest” when there’s a cheaper, faster, cleaner, and safer way that would not push domestic natural gas prices up, namely solar and wind power? So even if the Sabal Trail pipeline wouldn’t take your land, risk your family and drinking water, or cost your taxes to pay for any leaks or explosions, if it exports through even those three already-authorized LNG export operations where it leads in Florida, it would run up the price of natural gas in the U.S. You don’t even have to believe T. Boone Pickens: you can read this eia report that was commissioned by the very same Office of Fossil Energy that authorized those three LNG export operations. A Spectra is haunting New England and the Canadian Maritimes, as well as the U.S. southeast, seeking every market for its fracked methane pipelines, sliming lands along the way. Local media are starting to pay attention to the big picture, not just the local hauntings, such as Spectra’s proposed Sabal Trail Transmission 36-inch 100-foot right of way gash through the southeast. Spectra didn’t say, but those markets could include LNG export from Excelerate Energy’s Northeast Gateway in Massachusetts Bay or the proposed Goldboro LNG export terminal in Nova Scotia. 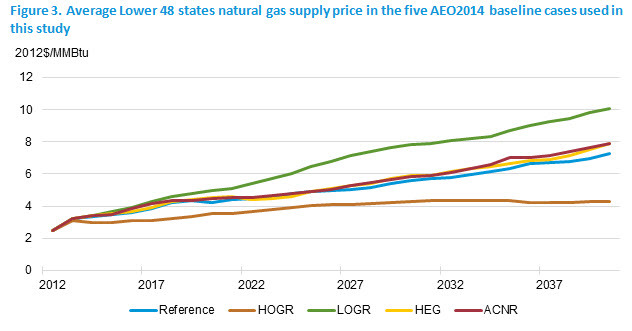 If LNG export happens, the price of “natural” gas in the U.S. and Canada will go up. FERC won’t be able to say it doesn’t know anything about LNG exports anymore, with this plan to require FERC environmental assessments before FE authorization. But this does nothing about the FE authorizations aleady granted, including the three at the end of the Transco -> Sabal -> FSC pipeline. A better idea: cancel LNG exports and build solar power instead. The Energy Department intends to scrap a two-year-old approach for considering applications to export LNG to countries that don’t have free trade agreements with the United States. 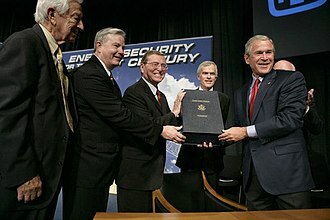 Instead of reviewing them in the order they were filed, as the agency largely does now, the Energy Department would first tackle those that have already cleared an expensive, time-consuming environmental assessment typically done by the Federal Energy Regulatory Commission.